Dense Wavelength Division Multiplexing (DWDM) is an optical multiplexing technology used to increase bandwidth over existing fiber networks. DWDM works by combining and transmitting multiple signals simultaneously at different wavelengths on the same fiber. DWDM 100GHz devices keeping the device in compact size and excellent performance. 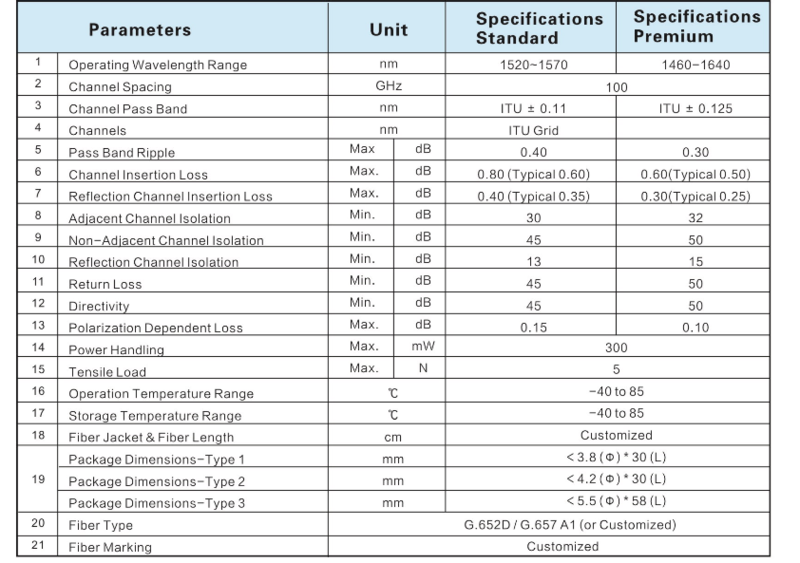 100GHz DWDM Devices has glass tube pakaging and steel tube pakaging. We can make according customer's requirements. 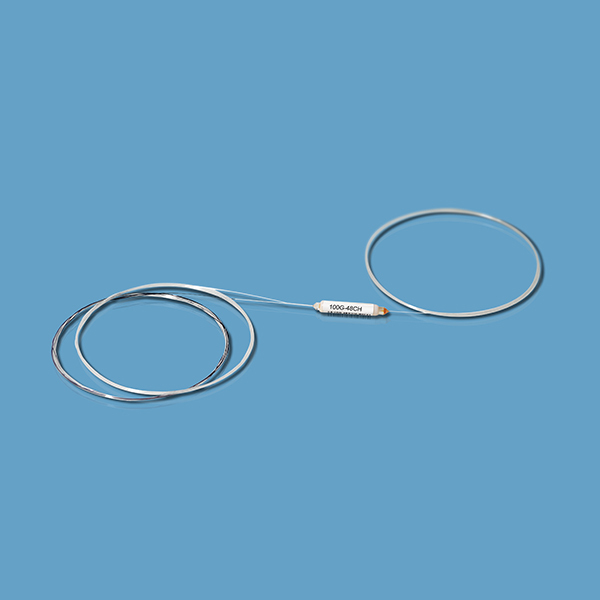 DWDM 100GHz devices are based on Thin-Film Technology and All-Glass Packaged platform, keeping the device in compact size and excellent performance. Channels comply with ITU grid.